The increasing popularity of Multi-Level Marketing (MLM) cannot be denied. Many will even think that it’s the so-called wave of the business future, especially for opportunistic entrepreneurs who want to get in on the act. This impression is reinforced by the growing acceptance of MLM companies as well as their products and services, such as USANA and Amway. Is Multi-Level Marketing a Scam? Yes, It Is Absolutely A scam! I said it!!! But it will not seem to be a scam when MLM professionals start their sales and marketing spiels, especially when the target recruits are new to direct selling, networking, and multi-level marketing. Read on and find out about the fallacies spread by MLM professionals as well as the facts behind them. You will be glad to know about these things first before pouring your time, energy and money into the scam – a pyramiding scam, to be exact. These lies are also the proof, so to speak, that MLM is for all intents and purposes a scam! The first lie made by an MLM recruiter is that MLM companies are legitimate businesses providing better entrepreneurial opportunities in comparison with other business models, such as direct selling and affiliate marketing. This is understandable as nobody will want to make financial investments in non-profitable ventures. The fact: For virtually every person who makes an investment in an MLM venture, the results will likely be a disappointing loss. You may not believe it at first because of the high-profit figures presented by the MLM recruiter but there are notable examples from largest MLM companies. Let’s consider the case of Amway’s distributors, of which the only ½ of one percent actually make it to the direct distributor level. The average income of non-direct distributors is approximate $40 a month, before operating expenses and taxes, which means a whopping loss. The average income for direct distributors is negative $918 – or a net loss of $918 – as is the case for Wisconsin distributors (i.e., the Wisconsin Attorney General gathered the facts upon its filing of charges against the company). This isn’t so because personally and directly retailing products and services to family, friends, and acquaintances, even strangers, is a thing of the past, marketing-wise. This is because personal retailing requires target customers to radically change their purchasing habits, particularly in the age of online shopping. With the MLM retailing style, people are forced to restrict their choices, pay for expensive products, and buy in an inconvenient manner, especially from close relatives and friends. In a time of open marketplaces in brick-and-mortar stores and online shops, buying from a single distributor restricts the consumers’ choices. The result: Every MLM distributor, especially the downlines, has to keep reselling and reselling in order to sign up more distributors. Indeed, large-scale door-to-door retailing has gone out of style because of the unfeasible manner in which sales can be drummed up. Making Money OFF your closed one is nothing to proud of. This fallacy comes from the promise that recruits already have a ready market for the MLM company’s products and services – their family and friends, co-workers and neighbors, even their casual acquaintances. But this isn’t such a great thing aside for the reasons stated above. Think about the repercussions of the commercialization of your personal and professional relationships with others in the pursuit of the so-called MLM gold. Your “warm leads” can place undue and unnecessary stress on your social foundation, especially when you have already established love, trust, and loyalty. You will also find that your family and friends strongly dislike being solicited to buy your products. The result: You can run out of people in your personal and professional circle that you can sell your products. Your hoped-for financial success becomes a figment of your imagination. This becomes a reality when you finally realize that only your uplines are getting rich, thanks to their commissions and rebates, while you’re shouldering the expenses and pouring in the effort. Fallacy #4 Since products are sold in an MLM plan, it isn’t a pyramid scheme. This isn’t true either because an MLM company can sell products via its distributors but still be considered as a possible pyramiding scheme. In recent years, the courts have been using the 70 percent rule in determining the legitimacy of MLM companies. The rule states that at least 70 percent of all the products sold by an MLM company must actually be purchased by non-distributors – or ordinary customers. Sadly, federal authorities are discovering that most large MLM companies fall outside of the 70 percent rule, such as NuSkin, Amway, and USANA. The largest of them even acknowledge that only 18 percent of its gross sales have been made to non-distributors. The MLM business can be done in your spare time, such as a few hours a week. You will find that there are no off-limit people, places and times when you should sell products lest the opportunity passes by. You have to be actively involved in selling unless you’re in the upper echelons of the hierarchy. The MLM environment provides a supportive and positive business environment where financial freedom can be achieved. You will likely not find the right training program since you’re basically left on your own to learn the ropes, usually at your own expense (i.e., paid training in DVDs, classes, and books). The MLM business model results in real economic independence. You’re buying into an illusion since your contract as a downtime can be terminated at any time, such as your failure to adhere to its duplication model. What then is the better alternative to the scam that MLM is? You should look into Affiliate Marketing with reputable and reliable companies, such as those found in Wealthy Affiliate. If you have no idea what is Affiliate marketing about perhaps you may want to read the benefits here instead. 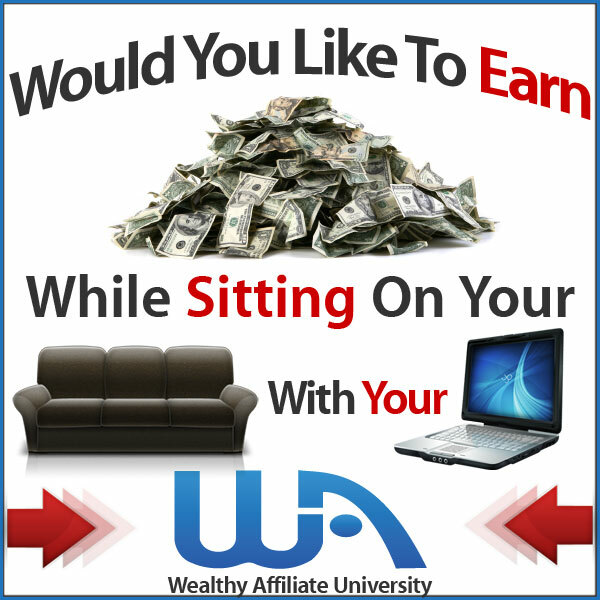 Your venture in affiliate marketing will require reasonable time, energy and effort yet minimum money and result in respectable income – no scam here! What your thought about this title I wrote about MLM here? Please share with us below. Thank you for your time reading this MLM truth. I wouldn’t say that multilevel marketing is a scam. The opportunity for success within mlm companies is not as easy as it is made out to be, which is why people feel scammed after realizing that fact. I was involved in a multi level marketing company before and recruiting people is difficult as most people do not share the same perspective for the opportunity that may be presented depending on which company you may represent.. Affiliate Marketing definitely sound like a better business opportunity opposed to Multi Level Marketing. Agree with what you have mentioned here. Like you I personally enroll in MLM before and that’s why I hate the system how they work. Recruiting is the only way you can sustain until I discover more Affiliate Marketing thereafter and never looked back anymore. Thanks for sharing your stories here and keep in touch, my friend. finally decided that I’d had enough. I agree with you on direct selling being a thing of the past. People are online and that’s how they want to buy. The 70% rule is an eye opener. Most of the buying activity I’ve ever seen in MLM is within the distributor community. I agree with you about MLM being a scam. So glad to be done with that! Hey Mike, Glad to meet you here and thanks for spending time leaving a comment here. I went through your progress and definitely understand the up and down. Trust me and go for Affiliate Marketing instead. You will not regret and thanks me later. Thanks for this very interesting article about Multi Level Marketing. I have never thought that MLM is a scam. I have never liked it because of the the way it works (mostly the pyramid) and that the people who do it, market a lot to friends and the family. But after reading your article I can see that it is really not far from scam. Hi Sandy, I would say anything related to Pyramid Schemes please stay away. And rather spend your time with them I would advise you spend your time in building your own online business and choose your niche to work on. Every point you touch on you explained clearly and showed why the basis of the points they try to use to get you to buy into their scheme are false. Yeah Aldane, “The Sky is Limit” applies for internet marketing depending on your efforts in your niche. The more you work the more “0” adding in your income. Yes, I am not a fan of MLM at all. I have tried Amway, Herbalife AND Usana and others I have to admit in my quest to become an entrepreneur and I can absolutely say that if you are wanting to become an entrepreneur with more lifestyle freedom-do NOT try MLM. I will say however, I don’t think these companies are a scam. I actually think that they have very high quality products and I did enjoy using a lot of their products that you cannot get down at the regular shops. I also think that some of them have some good business training. However, the amount you have to spend before you make a profit is ridiculous AND you have to be REALLY passionate about the company and live and breath it. I just couldn’t get into the right mindset for it. It works for some, but they are the exception to the rule. Any business opportunity has to be a good fit for you. I totally agree that a far better opportunity is online where you can spend next to nothing (or nothing at all ) to get started. And, you get to base it around something that you yourself are really interested in. Perfect opportunity if you ask me. Hi Liz, Well said and very impressed with what you have mentioned above. Indeed MLM works for someone but not Everyone. Given each person have its own strength and I do have some friends (Not much) succeed in MLM in early days. And from what I see is that they keep recruiting newbies and adding new members to their bottom line. As stated my website, I do recommend people join Affiliate Marketing instead of Pyramid Schemes or MLM. Affiliate Marketing allows you to focus and doing what your strength. You are able to promote the services or products to your readers if you like it personally. You work in the niche you interested in.